Respiratory Clinic - this is a service for all patients who are recognised as suffering from any respiratory disease. 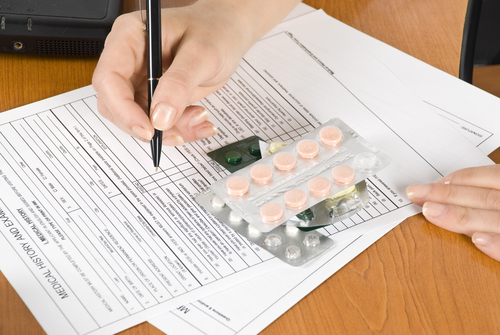 Our qualified nurse will carry out regular reviews of your condition, treatment and medication. This service is offered in conjunction with your GP. Smokestop - advice on how to give up smoking is offered by the practice nurses and GP’s. Referral to the Live Well Dorset organisation can also offer advice (you can self refer to this service). Cervical Smears - ladies are invited to attend at regular intervals for a smear. This is a test to detect and prevent the onset of cancer. Appointments are normally with the nurse but can also be made with the doctors. Child Health - these clinics for well children are run by the health visitor team at a central clinic in Dorchester. The clinic offers the opportunity to weigh and measure babies and infants as well as raise any matters related to child development and family health. 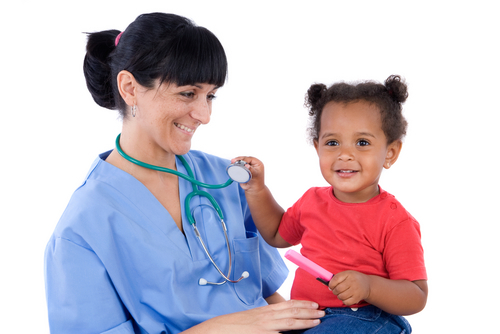 If your child is unwell you should consult with a GP. Children’s Immunisation - your child will be offered all recommended vaccinations suitable for the age of the child. If this is not convenient, we are also able to offer appointments with the nurse during normal surgery sessions. Diabetic Clinic - the practice offers a comprehensive screening, monitoring and support service for patients with diabetes. All patients diagnosed with diabetes will routinely receive an invitation to attend a review of their condition and treatment with the practice nu rse. Podiatry & Footcare - NHS podiatry is available to those patients who have a foot problem and a medical need for treatment. Referral to this service must be made by a GP or nurse. Well Person - the screening includes weight, dietary advice, blood pressure, urine and cholesterol testing where appropriate. Ladies may discuss breast examination and cervical smears. The nurse will discuss lifestyle, smoking and any other health related matter with people who attend. Please ask for an appointment with the nurse for a well person check. Flu and Pneumococcal Vaccinations - flu and pneumococcal vaccination is recommended for people who are over 65 years and those who have certain conditions. You will be contacted by post if you fall into the recognised categories. Maternity and Pre-conceptual Care - full antenatal and postnatal care is shared at the surgery within the team of doctors, midwives and health visitors. Full details of antenatal care will be provided to patients by the midwives who run a weekly clinic at the surgery. A list of those professionals involved in giving antenatal and postnatal care is available. Pre-conceptual advice is offered by the doctors and practice nurses in normal surgery. BP Monitoring - these checks are normally with our practice nurse team. Teenage Health - people reaching the age of 15 years are invited to come and discuss health and medical topics with the health visitor or practice nurse. This is completely confidential. 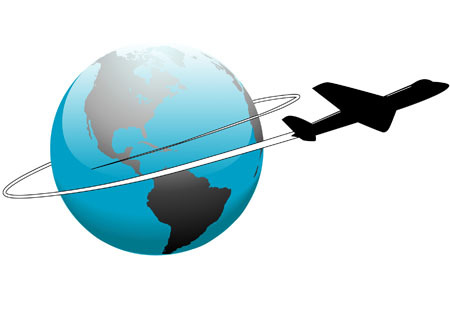 Travel Advice - practice nurses offer a full range of immunisation and advice on travel abroad. Please collect a form from reception no less than 6 weeks before your travel. The nurse will then contact you and advise you of which injections are required. A charge is payable for some vaccinations, so please make enquiries at the outset. Physiotherapy - physiotherapists hold regular clinics. 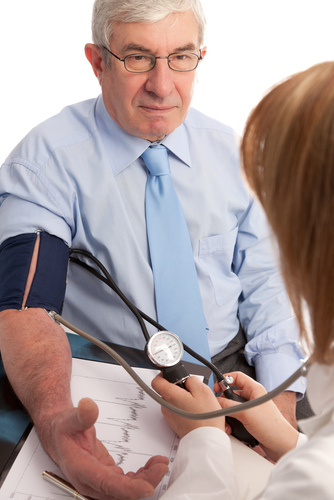 Referral is usually made by the doctor at routine consultations. Elderly Health Checks - are available for those people who are 75 years and over. Please ask at the desk for an appointment with the nurse. Counselling - counselling sessions are available for our patients. Problems are discussed in a confidential way. Referral is via your GP. Minor Surgery - some small operations are undertaken at the surgery. This will be for problems such as skin lesions, in-growing toenails, joint injections etc. Please see your doctor first. Family Planning - advice on all forms of contraception is provided by doctors during normal surgery hours. Emergency contraception is available. It is important to make this initial appointment as early as possible - at least 6 weeks before you travel - as a second appointment will be required with the practice nurse to actually receive the vaccinations. These vaccines have to be ordered as they are not a stock vaccine. Your second appointment needs to be at least 2 weeks before you travel to allow the vaccines to work. If your initial appointment is less that 6 weeks before you travel, it is unlikely that we can offer you appropriate travel vaccinations and advice. Go to the Charges Tab to see our current list of Non-NHS Charges. If you make an appointment for a service which is not covered under our contract with the NHS please tell the Receptionist when you book your appointment. Also ensure you know what the cost of this service will be BEFORE your consultation, to avoid any misunderstandings. Please click on the link below to display our current list of fees for non-NHS work. The Dorset Breast Screening Unit (DBSU) is run by Poole Hospital, and is responsible for providing a high quality mammographic service for the women of Dorset. It is responsible for screening approximately 96,000 women in the county as part of the National Health Service Breast Screening Programme. Some ladies may be screened in the static unit at Poole Hospital but a large part of the screening work is done on mobile units which travel to different sites throughout the county, to enable ladies to be screened near to where they live. The unit is staffed by a team of dedicated professionals, including radiologists (doctors who specialise in radiological procedures and film reading), radiographers, breast clinicians, breast care nurses, assistants and office personnel. Mobile units are staffed by members of the radiographic team in rotation. When the time comes for you to be called for screening, you will receive a specific appointment telling you when and where to attend. Symptomatic mammography is performed in the Ladybird Breast Unit by the same radiographic team. The Ladybird Unit is sited above the Breast Screening Unit. Screening is the process of identifying individuals who appear healthy but may be at increased risk of a disease or condition. The process is not perfect and in every screen there are a number of false positives and false negatives. NHS cervical screening programme is available to women aged 25 to 64 in England. All eligible women who are registered with a GP automatically receive an invitation by mail. Women aged 25 to 49 receive invitations every 3 years. Women aged 50 to 64 receive invitations every 5 years. Research suggests that over 90 per cent of bowel cancer patients will survive for more than five years if they are diagnosed at the earliest stage (Cancer Research UK). Bowel cancer screening aims to detect bowel cancer at early stages, ideally before people are experiencing symptoms, and when treatment is more likely to be effective. The screening centre for the Dorset bowel cancer screening programme is based at Poole Hospital, with satellite screening sites at The Royal Bournemouth and Christchurch Hospitals NHS Foundation Trust and Dorset County Hospital NHS Foundation Trust. The programme invites all GP-registered men and women aged between 60-74 to take part in the programme every two years. Those over age 75 and over can request a screening kit, if they wish to take part, by calling 0800 707 60 60. To find out more visit the NHS cancer screening website athttp://www.cancerscreening.nhs.uk/bowel or call 0800 707 60 60. Men and women eligable for screening will automatically receive an invitation letter, faecal occult blood (FOB) test kit and an information leaflet explaining the programme. When you return the test (by post), it will be processed and result sent back to you within two weeks.